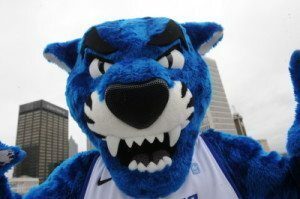 The Panther PERQs Program is a partnership with local, statewide and national businesses that offer discounts or other incentives to Georgia State employees and students with valid university identification cards. As a vendor would you like to apart of The Panther PERQs Program. Please Click Here to fill out our application. Program Benefit: Discount tickets are available through the GSU Student Center Information Center (1st Floor). Attraction tickets are subject to availability and prices may change without notice (prices quoted in person at the Student Center Information Center are the only prices that will be honored for sales transactions). The Information Center has a 20 ticket maximum purchase per customer. Certain vendors allow customers to also purchase discount tickets online as well as in the Student Center (i.e. Georgia Renaissance Festival, Medieval Times, Six Flags / White Water, Stone Mountain, Walt Disney World). Convenience fees apply to online sales, and some online vendors have per-transaction ticket maximums. Cash, checks, credit card, and PantherCash are accepted in person at the GSU Student Center Information Center (1st Floor). For a full list of ticket options and pricings from the Student / University Center, please visit http://studentcenter.gsu.edu/services/discount-tickets/ OR call 404-413-1850. DISCLAIMER: Georgia State University is not affiliated with the companies listed below and does not endorse any of the services and/or products offered. Program Benefit: BB&T@Work is a complete banking package that includes BB&T checking and savings accounts, along with exclusive discounts on loans, lines of credit, travel, entertainment and more. Plus, you’ll receive dedicated service from our Relationship Bankers to ensure you have the right combination of benefits to meet your specific needs. Click here to find out more information, and to open accounts online or stop by any local BB&T branch! Program Benefit: ½ off mortgage origination fee (for purchases and refinances). Brand Bank checking account with no monthly maintenance fee or balance requirement; unlimited free checks; free online banking with bill pay; free travelers checks; free notary service; $25 gas card (with a free quote from Brand & Britt Insurance). Program Benefit: Free standard professional installation (up to 6 TVs), Free Hopper: Whole-Home HD DVR, HD FREE for Life. 3 Months Free: HBO, CINEMAX, SHOWTIME, STARZ, Blockbuster@Home, and no equipment to buy. Promotional Programming starts at only $19.99/mo. for 12 months. GSU Promotional Discount: $50 instant credit off 1st month bill. Program Benefit: Up to 25% off accessories and 15% discount off qualifying monthly recurring plans. Program Benefit: Unlimited talk, texting & data on the fastest nationwide 4G LTE network; Discounts on every line; 4 lines for $85 with 15% discount. Unlimited international texting from the U.S. to 200+ countries. Unlimited calling to and from the U.S. to any number, including mobile phones, in Mexico and Canada.Data Stash-Unused 4G LTE data rolls forward into the next month, for domestic use in the next 12 months. Call 1-866-464-8662 and mention 11019TMOFAV for new promotions offers. Steps to Apply: Go to the Verizon website listed above. Register or sign into account. The employee must use his/her GSU email address to receive discount. Complete the information and the discount will be applied. Program Benefit: Up to 25% discount off accessories and 18% off a monthly access plan of $34.99 or higher is required to be eligible for the employee discount. THIS OFFER IS NOT AVAILABLE IN RETAIL STORES. Steps to Apply: Visit a local retail store or www.sprint.com/storelocator Enter Promo Code: GAUNV_GST_ZZZ Program Benefit: 18% discount off qualifying monthly recurring plans. See store representatives for further details. Program Benefit: As an employee of GSU, you are eligible to receive 15% – 50% off select Certificate Programs. Visit: https://execed.robinson.gsu.edu/ for a listing of upcoming programs and to register! Discount Restrictions: Some programs are exclusions. Contact our office to receive discount codes. THESE OFFERS ARE NOT AVAILABLE IN STORES. NO REFUNDS or EXCHANGES. 25% off food purchases for GSU faculty, staff and students at all restaurant locations with proof of GSU ID. Program Benefit: 10% discount on all Dine-in food for GSU faculty, staff, and students. Program Benefit: 15% discount on all Dine-in food for GSU faculty, staff, and students. This cannot be applied to any catering or delivery orders. Program Benefit: 15% off series shows. Contact the Rialto directly for additional details. Program Benefit: $10.00 off purchases of $30.00 or more for Faculty, Staff, and Students with GSU ID. Program Benefit: Discounts on tickets at various Florida resorts, parks, and attractions. 15% off cannot be combined with other offers. Valid in store only. Valid at Your Pie GrantPark and Perimeter locations. Must show GSU ID. When GSU wins, bring in your ticket stub to Taco Mac to receive one free 6 pack of wings. Valid with purchase of a beverage. Monday-Friday only following the game. Dine-in only. One time use only. Not valid with any other offer, coupon or discount. Not redeemable for cash. One per person, per visit. Tax and gratuity not included. Valid at Taco Mac Metro only. Program Benefit: 10% off in store purchases, Midtown & Howell Mill Rd Locations Only! Program Benefit: 10% off on entire order. We will deliver only if there’s a minimum of 10 orders. Georgia State University faculty, staff and retirees can earn Reward Points by attending EDWS sponsored wellness activities and events. Points are redeemable for prizes! 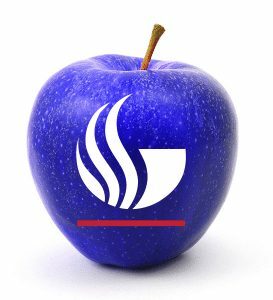 Simply join the Panther PERQs Plus Program sponsored by EDWS (it’s free) by emailing EDWS at edws@gsu.edu or joining the Live Healthy GSU Community group on Office 365. For more information, call 404-413-3342 or go to the following link- Panther PERQs Plus. Program Benefit: All GSU Faculty, Staff, and Students get 10% off any Good Measure Meals meal plan when using promo code: GSU10. Must Call Customer Service and mention Panther PERQS. Check out https://www.goodmeasuremeals.com/ to learn more about fresh, gourmet meals for a healthy life on the go! Program Benefit: All Georgia State employees, students and retirees are eligible to receive a 5% discount on local/long distance residential/commercial moving and storage services, or, free used Boxes (Pick-up only). This discount cannot be used with any other offer. Program Benefit: 15% off all computer repairs, maintenance, and purchases. No coupon necessary – simply give the code GSU15 at the time of service. Most work is done remotely. Discounts available to Faculty, Staff, and Students. Program Benefit: Discount on tickets to Disney World, Universal Studio, Sea World, Discovery Bay, Aquatica and several other attractions. Also, discounts on vacation homes fully stocked and professionally decorated and most with pools. Free 75 Page Disney World Guide and Discount Packages. Visit the website to obtain information on other offers for Land Vacations. Program Benefit: All traveling Georgia State employees, retirees, alumni, and students are eligible to receive a special $7.00 a day rate for all covered parking at the Atlanta Airport. Program Benefit: Fast and accurate service from professional and reliable staff. After purchasing on-line contact customer service department by email: cs@go-parts.com to receive 10% discount. Program Benefit: Discounted room rates for GSU faculty, staff, retirees, and students during football season home games. Program Benefit: Monthly discount passes available through GSU Auxiliary Services, 2nd Floor, Bookstore Bldg., and are payroll-deductible for benefit-eligible Faculty and Staff. Program Benefit: 12% discount on the best available rate for GSU faculty, staff, retirees and students. A code will be built for Georgia State as well as a link for travelers to book accommodations. Georgia State faculty, staff and retirees can earn Reward Points by attending EDWS-sponsored wellness activities and events. Points are redeemable for prizes. For more information, call 404-413-3342 or email EDWS@gsu.edu . There is no limit to the number of points you can earn in one semester. You may redeem a maximum of 1 item per month. Your Reward Points total will be managed by the EDWS team, please contact them at EDWS@gsu.edu to request your point balance. EARN a minimum of 150 reward points to cash in for a prize!! Please note that “Bonus” Points may be earned and will be awarded only for attendance at special events and seminars. Reward points may be redeemed for prizes by contacting EDWS at 404-413-3342 or email edws@gsu.edu to make arrangements. Yes, reward points will expire if you are inactive which is defined as not participating in a GSU sponsored wellness event within a 45 day time frame. The University System of Georgia helps your dollar go further with the free USG Perks at Work discount program. Enroll at any time throughout the year. Take advantage of employee-only discounts and programs, plus savings on your favorite brands. 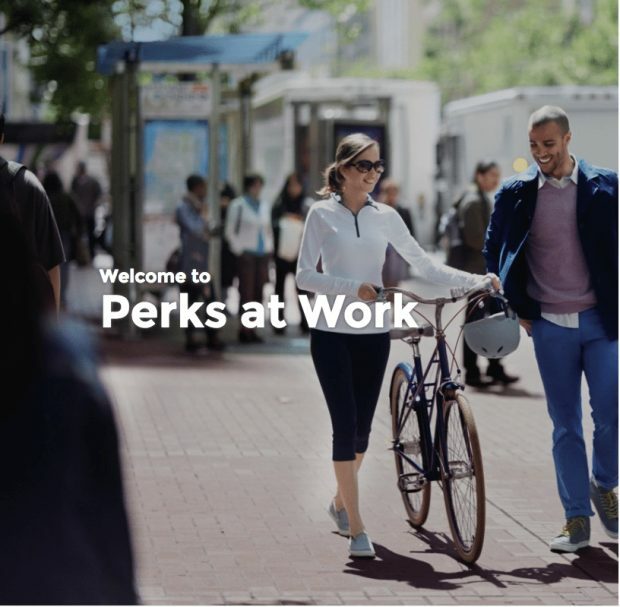 As an added benefit, employees can invite up to five family members to join for free, too.